These are commonly known as the three Cs. The first, critically, is character. Bankers will assess your character by reviewing a range of documents that provide information about your history, track record and experience in business. They are seeking to understand your commitment to a relationship with the bank. Considerations include: Have you been able to meet your forecasts? What is your repayment history like? Do you do what you say you will do? The bank will also want to see that you have plenty of skin in the game. Are you contributing enough to your own cash or equity to the purchase or new project? The second thing a banker will look for is collateral. Here the bank credit department reigns supreme. Dannel P. Malloy said as he released the results Friday. In this year’s survey, nearly 200 business owners – both those who won loans and those who did not – gave their overall experience with the program an 83 percent rating as either very satisfactory or somewhat satisfactory. That’s up from 80 percent the year before. “We created EXP (the Small Business Express program) to ensure smaller companies have the support they need to expand, compete and create jobs and to make Connecticut a more attractive place to start and grow a business,” Malloy said in a statement. “The results of this survey show that EXP has done just that.” Program details updated Friday indicate that 1,210 companies have been given EXP loans administered by the state Department of Economic and Community Development. And DECD numbers indicate that more than 17,000 jobs were created or retained as a result of nearly $172 million in state small-business investments. 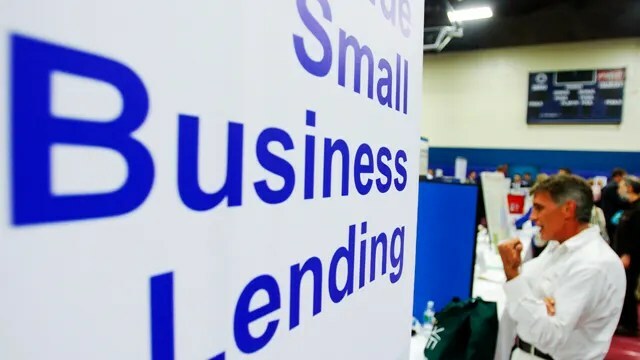 “EXP was perhaps the most impactful component of the 2011 Jobs Bill, because it addressed a serious need in the small business sector, in the aftermath of the Great Recession – private lending had almost completely stopped,” DECD Commissioner Catherine Smith said in a statement.